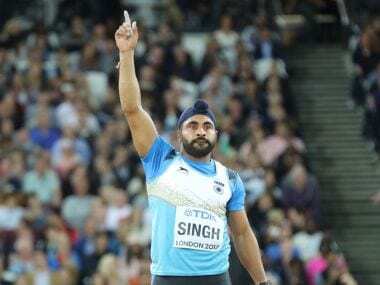 New Delhi: Javelin thrower Davinder Singh Kang, who has recently been cleared of doping charges by the Athletics Integrity Unit of the world governing body, made a dramatic return to the Indian team as he was named among 43 athletes for the Asian Championships starting in Doha on 21 April. The 30-year-old Kang was handed a provisional suspension in 2017 after his urine samples returned positive for anabolic steroids. But he was recently cleared of doping charges by both the AIU and WADA after the National Dope Testing Laboratory in New Delhi withdrew the adverse analytical finding issued to his urine sample. Kang, who has a personal best of 82.16m, did not touch the qualifying standard of 80.75m set by the Athletics Federation of India in any of the two events he took part this season after being cleared of the doping charges but has been named in the team in the last minute. He finished fifth with a throw of 79.31m in the Federation Cup in March while he managed 74.28m to win gold in the National Javelin Thrown Open Championships on Tuesday in Sonipat. The 43-member Indian team will not have star javelin thrower and national record holder Neeraj Chopra, who won gold in the Asian Games and Commonwealth Games, due to an elbow injury. The AFI had earlier announced a 51-member team for the continental flagship event to be held in Doha from 21-24 April but as many as 23 were named in the list subject to confirmatory trials which were held at Patiala on 13 April. On Wednesday, the team was pruned down to 43. Asian Games 800m gold winner Manjit Singh, who did not turn up for trials due to injury, has been replaced by Kerala's Mohammad Afsal who had clocked 1:49.01 in the first leg of the Indian Grand Prix in Patiala as against the qualifying standard of 1:48.00. Afsal was second behind Jinson Johnson in the Federation Cup with a time of 1:50.29. In the women's 4x400m relay, Prachi was included in the team in place of Jisna Mathew. 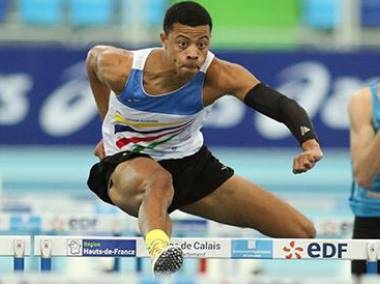 Men's 400m hurdles national record holder Dharun Ayyasamy was also not named in the team due to injury. Veteran steeplechaser Sudha Singh, who also missed the confirmatory trials due to illness, was named by the AFI but it is learnt that the Sports Ministry has refused to clear her name. "The AFI has booked Sudha's flight tickets for Doha and so has again requested the ministry to clear her," a well-placed source told PTI. Women's 10,000m runner Sanjivani Jadhav, who recently returned positive for a specified substance but was named in the team subject to clearance by the NADA, got the nod from the national anti-doping watchdog and she made it among the 43 athletes. 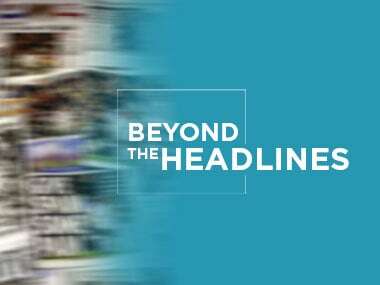 She was not handed a provisional suspension as she tested positive for a specified substance. As expected the women's 100m relay team of Dutee Chand, Hina, Archana Suseendran and K Ranga made it to the team after the quartet clocked 44.12 seconds in the trials as against the AFI qualifying standard of 44.50 seconds. Dutee was already named in the team in the individual 100m race. In the trials, besides the women's 4x400m relay team, only K Gomathi (women's 800m) crossed the qualifying standards set by the AFI. But all the others who took part in the trials but failed to touch the AFI qualifying standards, except for the men's 100m relay team, made it to the final team announced on Wednesday.